Recently, Solar power sources usage increases for all energy industry. It means that, the usage of the solar power inverters also increase as parallel to this. 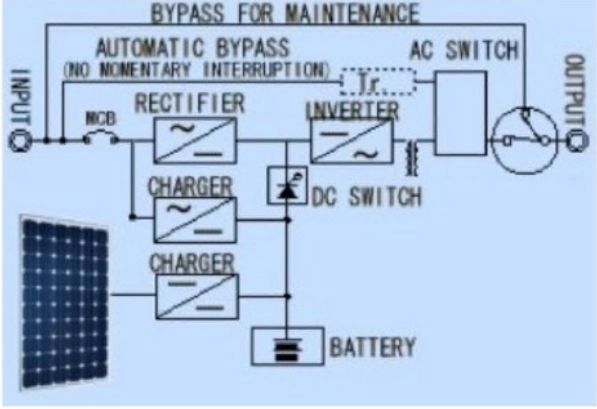 Inverters are the machines to transform the direct current voltage which is obtained by solar power sources. Alternating current which is produced by inverters are used for the devices we use in our daily life. Mak Plus Power Systems serve for energy sources industry for years and also produce high quality solar power inverter solutions. 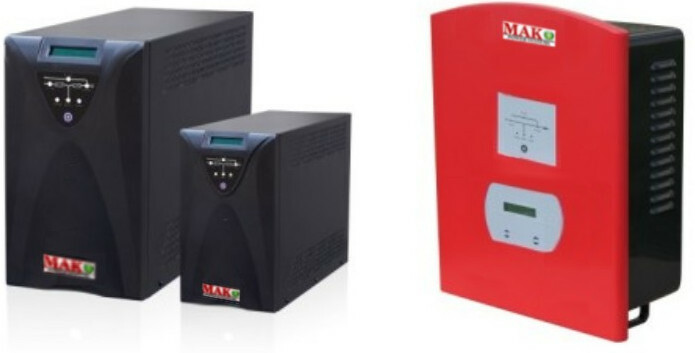 ​Mak Plus Power Systems, produce solar PV inverters and UPS. The Solar charged 1000 watt solar power inverter solutions can operate at their optimum power output voltage even under variety of weather conditions. To ensures your customers an optimum returns. We use high quality components and spare parts for the design of our 1000 watt solar power inverters. The production progress is done according to European standards. We offer long year warranty and quick after sales support for 1000 watt solar power inverters. There are alarm systems to warn the operator when there is a problem like over voltage, high voltage, short circuit, over heating, etc. 1000 watt solar power inverters offer you long year warranty with high efficiency and good quality. We have professional and experienced technical team and engineers work carefully to provide solar power inverters for our customers. Small, light, low operation noise design makes the usage of the operators easier. 1000 watt solar power inverter has intelligent technology design to support the customers. . There is electronical protection inside 1000 watt solar power inverter. Mak Plus Power Systems' 1000 watt solar power inverter also allow a wide input voltage range to generate maximum 92% e­fficiency. Besides, it offers user friendly design and mobilized electric for rural areas as well. Bundled with monitoring software, and a regenerative and photovoltaic and a solar energy solution. Mak Plus Power Systems, Solar charged 1000 watt inverter can help users to monitor and calculate the accurate saving energy using regenerative solar energy. As well as reducing heating problems on the machines. Solar photovoltaic 1000 watt , solar panel connected uninterruptible power supply has integrated rectifier, solar charger, inverter. Please ask us if you need customized solar charged, inverter solutions that we can develop as well. The 1000 watt solar charged connected inverter is used to increase the efficiency and usage of the solution with using PV, regenerative, renovate solar PV energy. Solar charged 1000W inverter solutions are used to charge batteries and supply the DC bar primarily from solar energy. The current from solar charged 1000W inverter is used to increase the power on the batteries. If the solar is not needed thanks to smart control from main board of the solar charger connected UPS. The energy comes from normal grid or battery by adjusting the battery charged level to increase the battery life time.